Bozeman, MT – Montana has been reminded this year about being one of the more seismically active states in the country and October 19 is dedicated to reminding us about that reality. At 10:19 am on October 19th a nationwide earthquake drill called the Great Montana Shakeout will occur. Everyone in Gallatin County is encouraged to spend a couple minutes next Thursday with their co-workers, family and friends to practice “Drop, Cover and Hold On” and review their emergency plans. 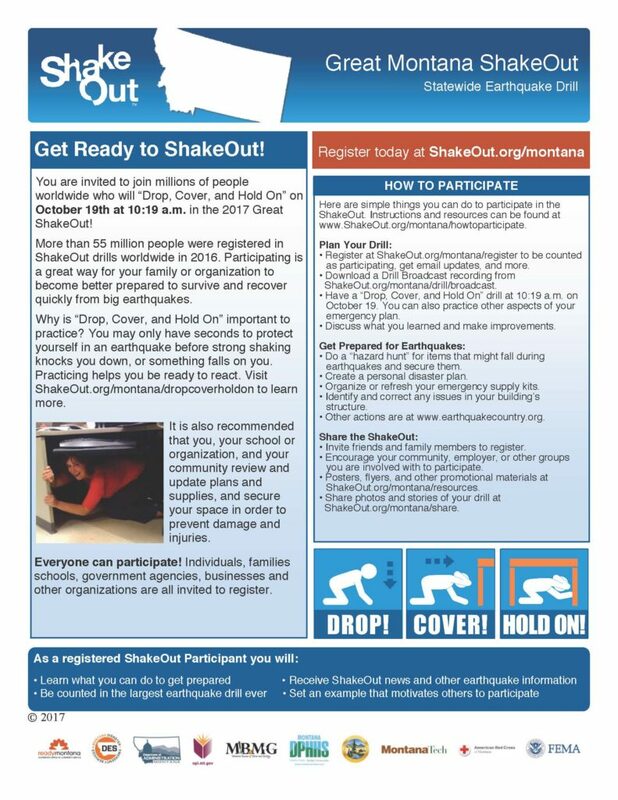 Facilitation material is available for a wide variety of organization types to support you at https://www.shakeout.org/montana/resources/.